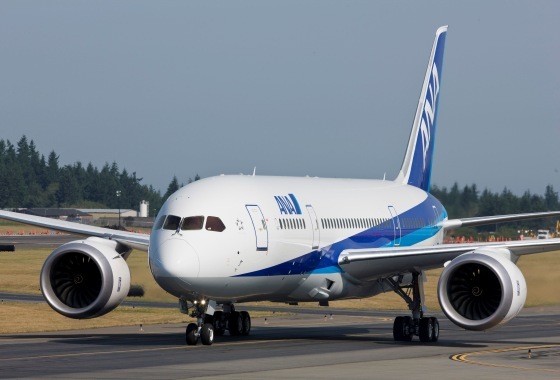 Following a series of glitches with their Boeing 787, both ANA and JAL have decided to ground their entire 787 fleets after one Dreamliner jet operated by ANA made an emergency landing on Wednesday. The plane was en route to Tokyo's Haneda airport from Yamaguchi when instruments on board the plane indicated a battery error. There are also reports indicating smoke in the cabin. ANA told NHK it would ground all 17 of its Dreamliners for emergency inspections effective immediately.